Cnapan makes a wonderful venue for a small wedding reception. If you are looking for a relaxing day, in an intimate venue to celebrate with your guests, Cnapan is the place for you. ​use of the whole house and lovely garden. 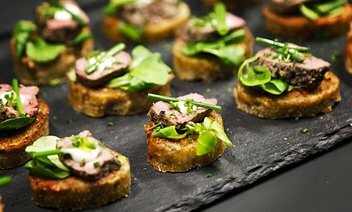 Why not start off your wedding celebration with a glass of fizz and delicious canapés for all of your guests on arrival. ​Prices from £9 per person. We offer a formal sit down four course meal, or a more informal buffet style meal with prices from £28. ​​Please see below for a sample menu and prices. With a gazebo and fire pit, the garden makes a wonderful additional space for your guests to enjoy. In fine weather drinks and canapés can be served in the garden. There is also an additional £200 service and venue charge for all mid-week parties and £300 for weekends. For exclusivity, we ask that all the bedrooms are also hired for the night of the party. For weekend weddings rooms must be hired for both Friday and Saturday nights. What a perfect weekend! We are absolutely delighted that we chose Cnapan for our wedding celebrations - Judy, Mike and Oliver did not disappoint! We had stayed before so knew the superb quality of rooms and service: they have mastered the art of hosting - the perfect mix of friendliness and professionalism so at once you are relaxed and made to feel at home yet every need catered for and we were made - especially on this wonderful occasion - to feel very special. We hired all five rooms for the weekend which I can highly recommend for other family groups, especially with children - we could totally relax. 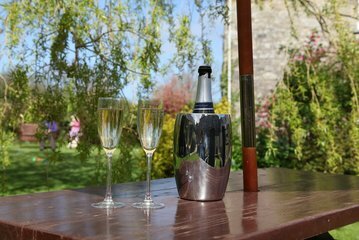 Nibbles and Prosecco toasts on arrival from the ceremony then relaxed with our drinks in the beautiful garden whilst the children ran around in the warm spring sunshine. A four course feast for the eyes and the palate followed! My own choice, guinea fowl with a mushroom, tarragon and Madeira sauce was absolutely delicious as indeed was every aspect of catering; exceptional quality of food. We even managed a tasty Welsh cheeseboard later in the evening after the cake cutting which we could relax with, serenaded by a highly talented trio of top Cardiff musicians led by Gethin Liddington on trumpet - another fantastic part of the day. A truly memorable weekend that was even more special than we could have hoped for, thank you Judy, Mike and Oliver and best wishes from all our family. We will be back! 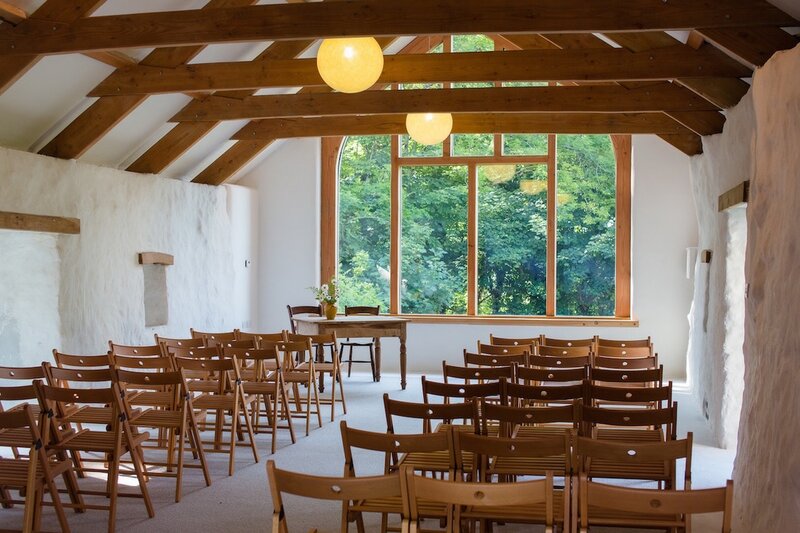 Nantwen Small bespoke wedding ceremonies inside a beautiful intimate venue, only 4 miles from Cnapan. Emily Wells Photography a talented photographer who can capture the special moments of your big day. Cakes by Carolyn beautifully designed cakes for all occasions. 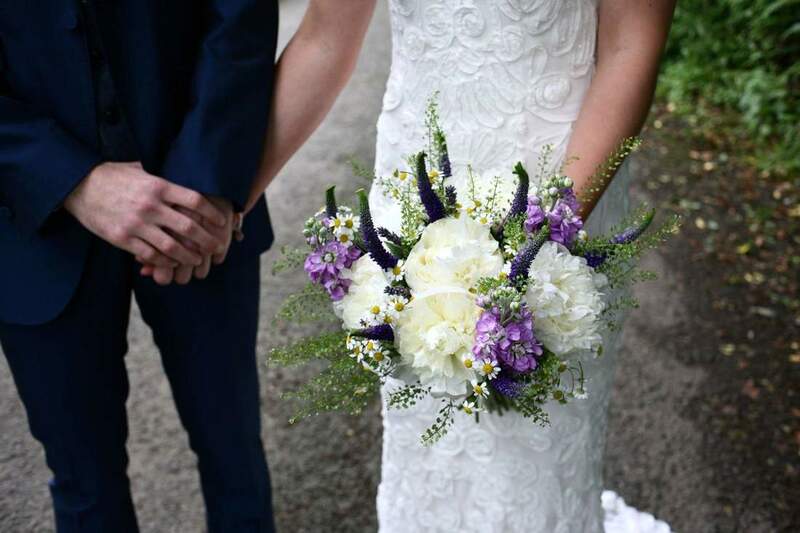 True Tulips Llinos is a local florist with over 10 years expereince, who specialises in wedding flowers.